In a game of sci-five-a-side, with you as the team captain and goalkeeper, who would you be your picks? We’ve put together our dream line-up of Robocop (defensive powerhouse), Darth Vader (midfield general), The Terminator (attack minded midfielder) and the Xenomorph (incisive attacker). If you disagree with our choices, then have a look at yourself will you – you’d never be allowed to captain a football team with that haircut. 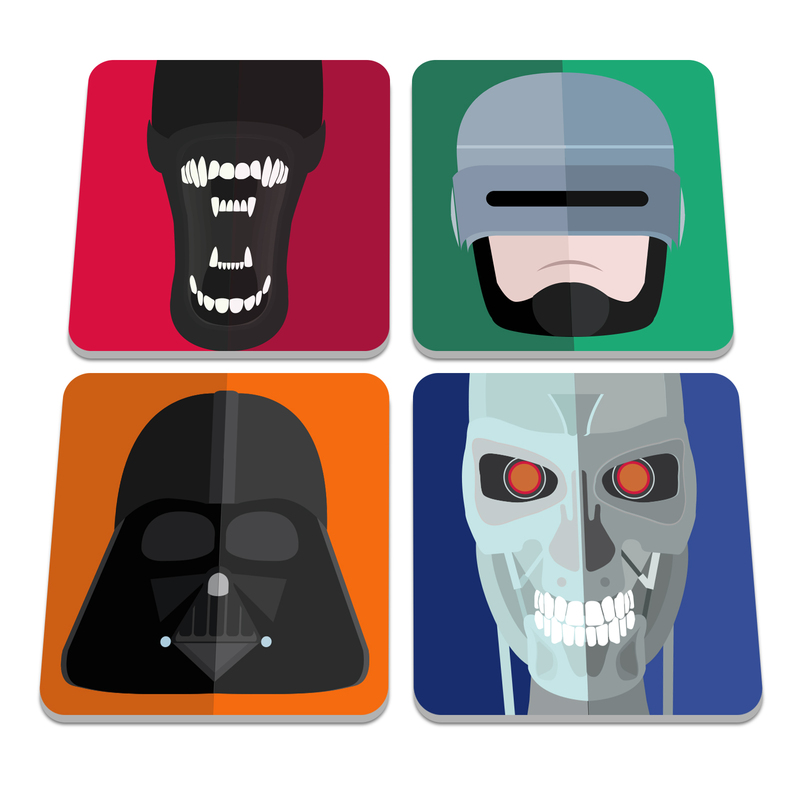 These exclusive designs, inspired by classic Sci-Fi Alien, Robocop, Terminator and Star Wars, are printed in high quality long-lasting inks onto resilient wooden coasters with a heat proof laminated finish.